My most recent acquisition from Loft is Rimmel's Shiny On Eye Color in 004. The Shiny On Eye Color comes with 2g of product and retails for ¥735 ($7.73). 004 is a taupe-grey cream eye shadow, loaded with shimmer. 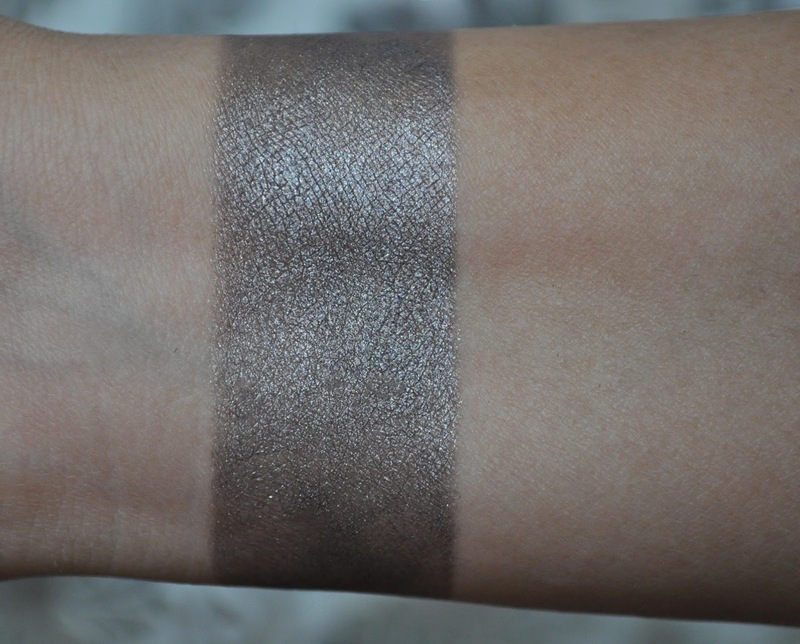 This is a case of "what's pretty in the pan and swatched, may not look as great on the lids". Shiny On Eye Color is a complete mess! It very emollient, so it applies unevenly and never sets. The eyeshadow creases (understandable for a cream), but it creases in the worst way. 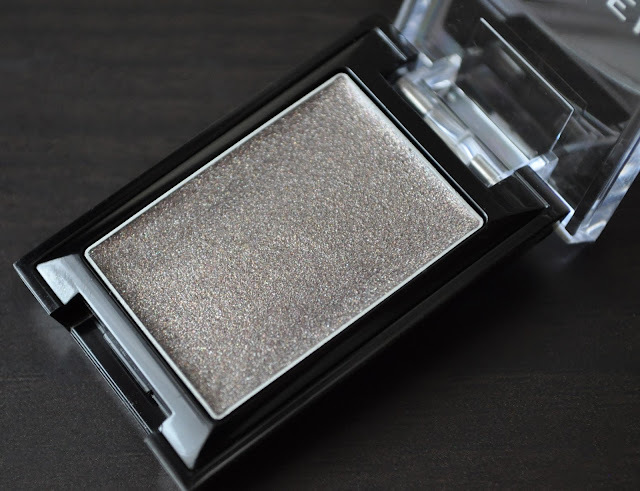 The eye shadow goes on sheer and blotchy; it fades in patches, and all you're left with is a constellation on shimmer on the lids. 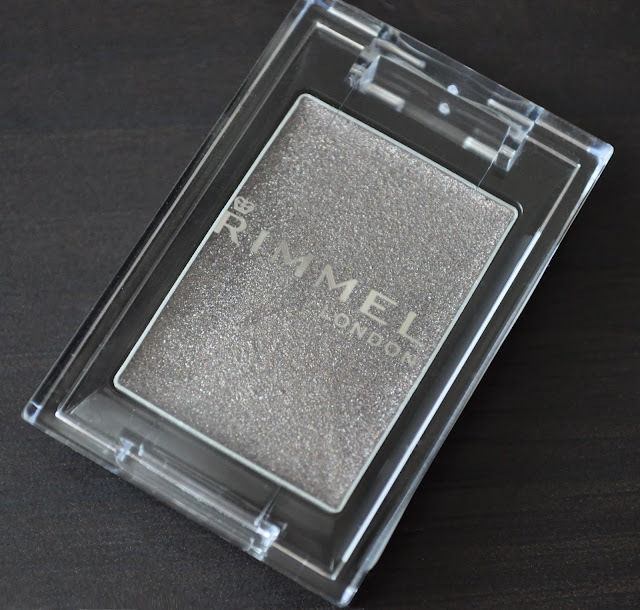 I'm going to try to use this as an eyeshadow base, but Rimmel's Shiny On Eye Color will probably be laid to rest in the makeup graveyard (a.k.a the trash bin).